Sports Rendezvous: Karunaratne keeps Proteas at bay in Galle. Karunaratne keeps Proteas at bay in Galle. Galle - Opener Dimuth Karunaratne hit an unbeaten 37 as Sri Lanka made a solid start against South Africa on the opening day of the first Test in Galle on Thursday. Sri Lanka were 93 for two at lunch with Karunaratne partnering Kusal Mendis, on 19, after the hosts elected to bat at the start of the two-match series. 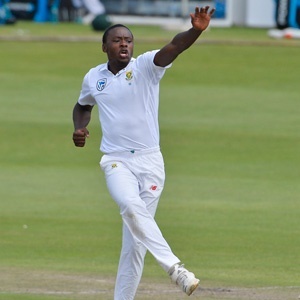 Paceman Kagiso Rabada and left-arm wrist spinner Tabraiz Shamsi took a wicket each in the morning session. Rabada struck first to send back Danushka Gunathilaka, caught behind for 26 on a delivery that rose sharply. The wicket ended a 44-run opening stand.